The summer driving season is here and, of course, gas prices are going up. AAA said the average price for a gallon of unleaded is now $2.37. That is a penny more than one week ago, two cents more than a month ago and five cents over a year ago. In essence, demand is going up and supplies are headed the other way. A pair of Mercedes 300SL models will be auctioned off at this year’s Pebble Beach auto auction. The Detroit News said the gull wing coupe will command up to $1.3 million and the roadster up to $1 million even. But each has some one off trim items and could go for even more, the paper said. Mercedes produced the 300SL from 1954 to 1963 and the gullwing was the most spectacular of them. It is still sought out today by collectors – rich collectors. Rolls-Royce is exploring the idea of creating distinctive one-off automobiles to meet the demand and tastes of its very best customers. “We are looking into the resources which will allow us to offer this unique service to these discerning patrons of luxury,” said the company. The first one has arrived! It has been created for a customer who wanted a vehicle that recalled certain two seat RR models from the 1920’s. “It exudes the romance of travel for its own sake, and immediately places ‘Sweptail’ in the pantheon of the world’s great intercontinental tourers”, said Torsten Müller-Ötvös, RR Chief Executive Officer. The largest of any modern era Rolls-Royce, the grille is milled from solid aluminum before being painstakingly polished by hand to a mirror finish. The periphery of the front face of ‘Sweptail’ is framed in brushed aluminum. The highlight feature of ‘Sweptail,’ specifically asked for by the client, is an uninterrupted glass roof, one of the largest and most complex ever seen on a motor car of any marque. In place of the rear seats is a vast expanse of wood creating a mid-shelf with an illuminated glass lip, and a hat shelf which flows to the outer limits of the interior. The hands of the clock are machined from titanium. Concealed in the outboard walls on either side of the interior are storage for an attache case and personal laptop device. But here is what RR calls the “coup de gras” of the interior. The entire center console houses a one-off hand-built mechanism that, at the touch of a button, will deploy a bottle of the client’s favorite vintage champagne – the year of his birth – and two crystal champagne flutes. As the lid of the chiller opens, the mechanical action articulates the bottle to the perfect position for the owner to pick up. “A most personal, coach built Rolls-Royce for a specific customer, every aspect of the material treatment of ‘Sweptail’ exudes handcrafted quality and exacting attention to detail. In short, it is a Rolls-Royce – but like no other” and who can argue with that! A Bank of America Merrill Lynch study concludes that GM and Toyota have the best chance to gain market share over the next four years, thanks to the largest number of redesigned or new vehicles. Among upcoming Toyota’s will be a new Camry and RAV4 while GM will produce new full-size pickups and SUV’s. Taking a bit of holiday time off gang. The Road Test column will resume next Saturday. Auto News for May 26 – Gas Buyers Beware! Some tips for holiday weekend travelers from the AAA of Northern New Jersey when they stop to fill-up. Make sure that the price-per-gallon displayed on top of the gas pump matches the price-per-gallon label within the pump dispenser. Check the sale price to ensure that the correct amount of fuel has been pumped into your vehicle before paying for fuel. In the case of a fill-up, pay the total sale price on the pump, not what the attendant tells you what you owe and if paying by credit card, check that the number of gallons, the price per gallon, and the total amount being charged to your receipt matches the numbers on the pump. Gas prices this weekend are expected to average eight cents more than a year ago at $2.36 a gallon, the club said. Incentive spending by automakers to drive up slowing sales continues to rise according to J.D. Power & LMC Automotive. Through the first 11 days of May it was $3,583 per unit, the highest level ever for the month of May and up $241 from May 2016. “While consumers will see substantial discounts this Memorial Day weekend, they are not expected to overcome the slowing demand in auto sales,” said Deirdre Borrego, senior vice president of automotive data and analytics at J.D. Power. “The holiday weekend is one of the heaviest trafficked car-buying periods and, in 2016, the Friday-Monday selling period accounted for more than 20% of May retail sales,” she added. Despite maintaining record incentive levels, the average days to sell a vehicle is above 70 for the first time since 2009. Trucks account for 61.7% of new-vehicle retail sales so far in May—the highest level ever for the month. The Pebble Beach Concours d’Elegance will take place next year on Sunday, August 26, 2018. The one-time move from the third to the fourth Sunday of August makes room for the United States Amateur Championship to be held at Pebble Beach Golf Links and Spyglass Hill Golf Course from August 13 through 19. The Auto News column will resume on Tuesday May 30th. An MIT survey of 3,000 people reveals that 48 percent would never purchase a self-driving car and only 13 percent would feel comfortable riding in one. Most said they do not like the loss of control and others said simply they do not trust the technology. In the “well daa” category comes another study. It concluded that if a small car collides with a larger car or an SUV, the occupants of the small car are at a higher risk of being killed. The study was conducted by the Insurance Institute for Highway Safety. If would appear that simple rules of science are at work here. Edmunds predicts May auto sales will be fractionally higher compared to those of a year earlier and 7.5 percent higher than April’s results. It said much depends on sales over the upcoming holiday weekend. “As long as high inventories continue to drive attractive deals and the economy remains strong, consumers will be in a great position to take advantage of a buyer’s market this summer,” said Executive Director of Industry Analysis Jessica Caldwell. Kelley Blue Book also believes sales will be higher this month when compared to April’s results. Generous incentives are expected to have more parties signing on the dotted line. The Skip Barber Racing School has filed for Chapter 11 bankruptcy protection in order to restructure its finances. Once its restructuring is complete, the company will be put up for sale. “There are several parties interested in the Company and conducting the sale in Chapter 11 should help increase the likelihood of a sale. The Company’s strategy is to use Chapter 11 as a tool to get Skip Barber Racing School to a much stronger place,” Barber said on its web site. In the meantime, the school will remain operational. Enterprise has announced plans to enter the Vietnam market with its flagship brand as well as National and Alamo rentals. GM will cut about 50 jobs at its international headquarters in Singapore. Fiat Chrysler has been sued by the Department of Justice on behalf of the EPA for allegedly installing devices on vehicles with the 3.0 liter diesel engine that allowed them to pass emissions tests, and then emit more pollution on the road. Involved are nearly 104,000 Ram 1500 and Jeep Grand Cherokee vehicles from models years 2014-16 equipped with devices that were not disclosed to regulators, the government said. “The complaint alleges that each of these vehicles differs materially from the specifications provided to EPA in the certification applications, and thus the cars are uncertified, in violation of the Clean Air Act,” the EPA said. The complaint seeks injunctive relief and the assessment of civil penalties. Fiat Chrysler said it has been working with the EPA and the California Air Resources board for many months and is “disappointed” that the lawsuit has been filed. “The Company intends to defend itself vigorously, particularly against any claims that the Company engaged in any deliberate scheme to install defeat devices to cheat U.S. emissions tests,” FCA said. It has developed updated software calibrations that it believes will “address the concerns” of regulators and will make those changes in the affected vehicles if the government approves. 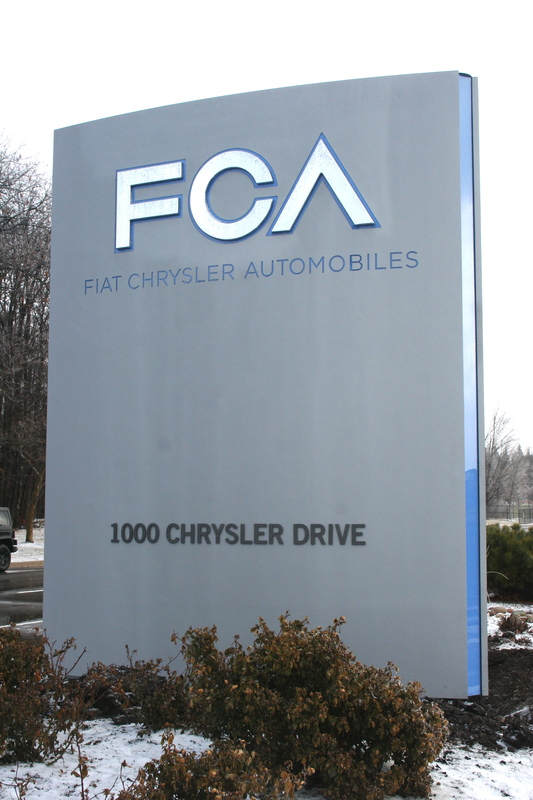 “FCA US believes this will address the agencies’ concerns regarding the emissions software calibrations in those vehicles,” the company said. China’s Geely automotive will acquire a 49.9 percent stake in Proton, the Malaysian automaker and owner of Lotus. Geely is the current owner of Volvo. The deal will give Geely access to the Southeast Asian market where Volvo is trying to increase its market share, according to Automotive News. The Honda Civic was second in the annual survey with the Jeep Renegade, Kia Soul and Hyundai Veloster rounding out the top five. In sixth place was the VW Jetta, followed by the Toyota Corolla, Subaru Impreza, Honda Fit and the Chevrolet Sonic. Thinking about going car shopping over the upcoming holiday weekend? The time is ripe according to Edmunds. Shoppers will find one of the strongest buyer’s markets in recent memory thanks to a growing glut of off-lease vehicles. That means shoppers who are looking for a car between 3 and 4 years old will have a huge selection to choose from, and this surplus also means dealers will likely be ready to negotiate to help close the deal, KBB said. Wall Street approved Ford’s move to name Jim Hackett, the former Steelcase leader, as its new CEO. Ford shares closed yesterday’s session up 2 percent. Analysts say Hackett and his new team have has a tough job ahead. The company must make the right investments in the future regarding mobility, electric cars, etc. while trying to cope with slowing sales on the domestic market. A front passenger seat can also be had for $1 and the same for a rear seat. The driver’s seat is standard. 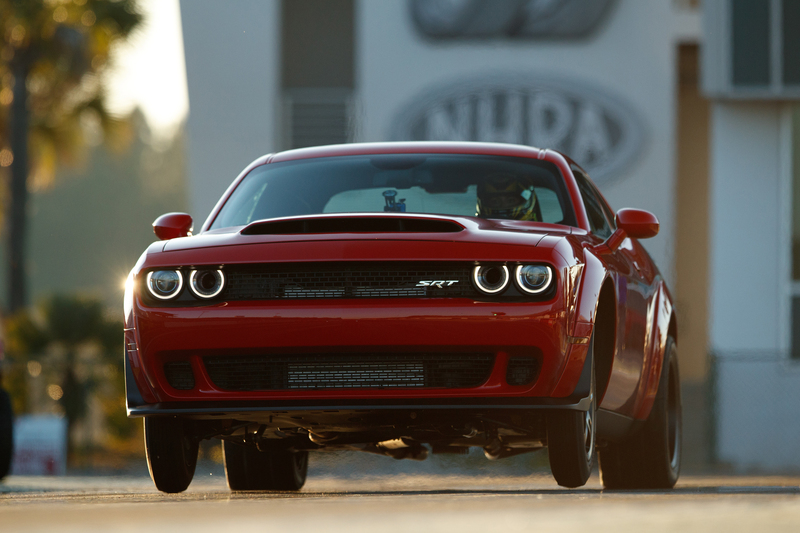 Only 3,000 Demon’s will be offered here in the U.S. with production commencing this summer. A new poll of drivers in the U.S., Europe and the U.K. shows 1.4-times as many Americans trust tech companies to secure their connected car data than automakers. The trend was reversed in the four other countries with 1.5 times as many trusting automakers. In the U.S., Baby Boomers tend to believe connected cars and autonomous vehicles will be less safe than cars on the road today, while Gen Xs and Millennials expect them to be safer. The majority of UK drivers (61%) expect autonomous vehicles to be as safe or safer than current cars, yet fewer than one in five (17%) would actually buy one. The study was conducted by INRIX Research. 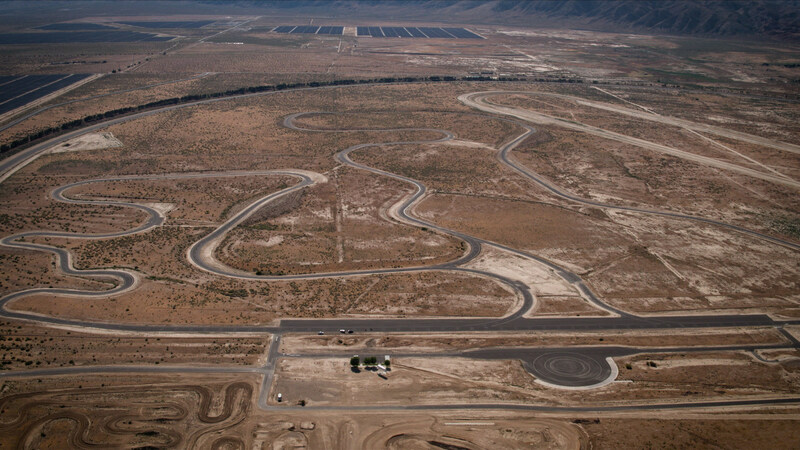 Honda has completed renovations to its test facility in the Mojave Desert, near Cantil, California. It features a 7.5-mile high-speed banked oval track capable of testing vehicles at speeds over 200 miles per hour, and a 4.5-mile winding road course that incorporates 28 curves and six different hills into the design. Automobiles, motorcycles, side-by-sides and ATVs will all be rung out here.